This bowl is a great starting point to achieve a meditative, relaxed state. This Meinl OM Series Singing Bowl is a great starting point for achieving a meditative, relaxed state through these ancient instruments. The sound produced is warm and relaxing which is why singing bowls are used worldwide in meditation practices and some yoga studios. Includes a resonating mallet, cushion ring and presentation box. OM Series Singing Bowls are cast in India from bell metal alloy and finished with a hand-painted motif. 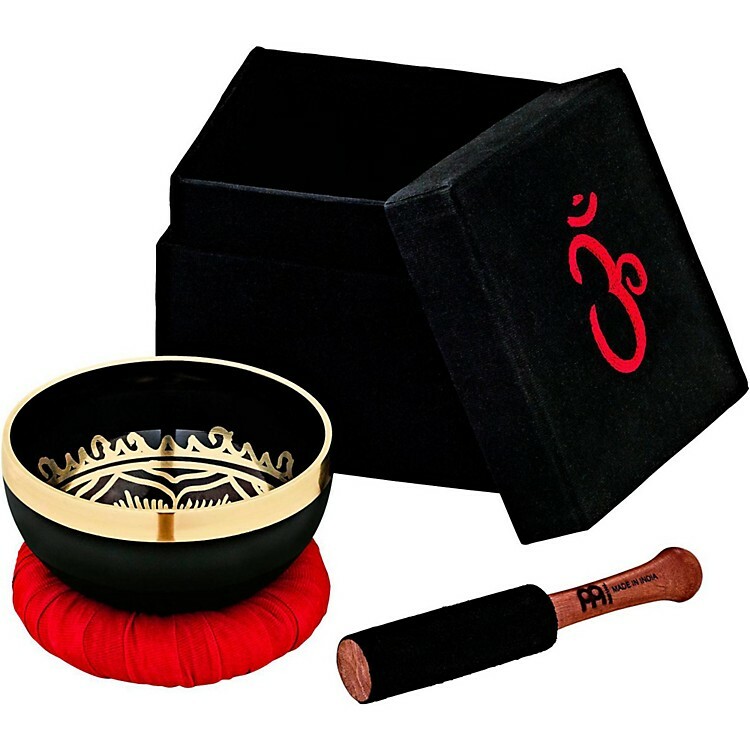 The vibrations that pour out from OM Series Singing Bowls are rooted in spiritual tradition and have modern day well-being applications anywhere you enjoy playing them.